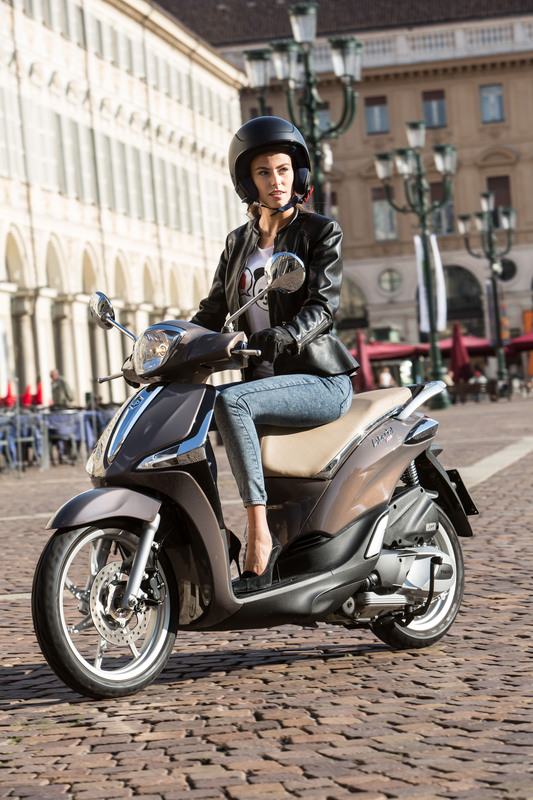 After 18 years and 900,000 units sold, the Piaggio Liberty ABS has been refreshed with new engines, new ergonomics, new active safety systems, and new lines to go with the larger diameter wheels. 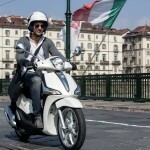 The Liberty ABS sees the first application of Piaggio’s new iGet engines. 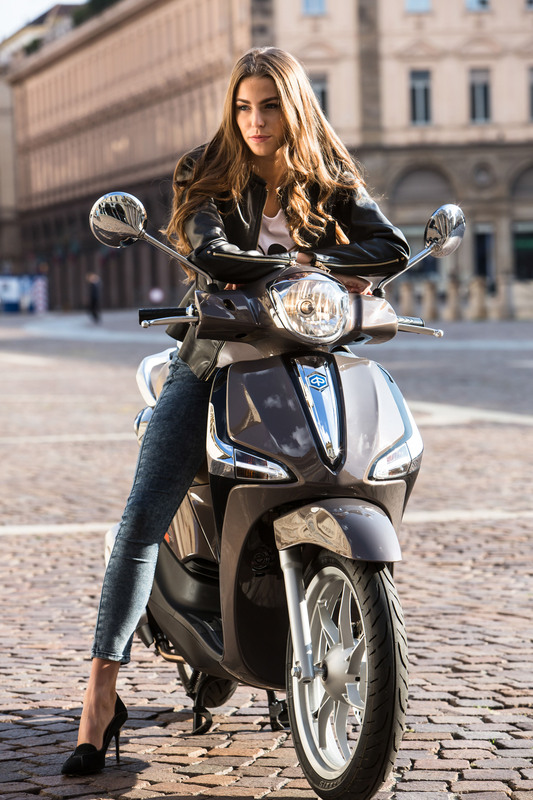 The iGet engines were designed with reliability, economy and emissions as its primary objectives, and are available in both air- and liquid-cooled versions. 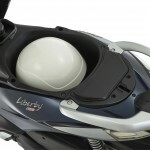 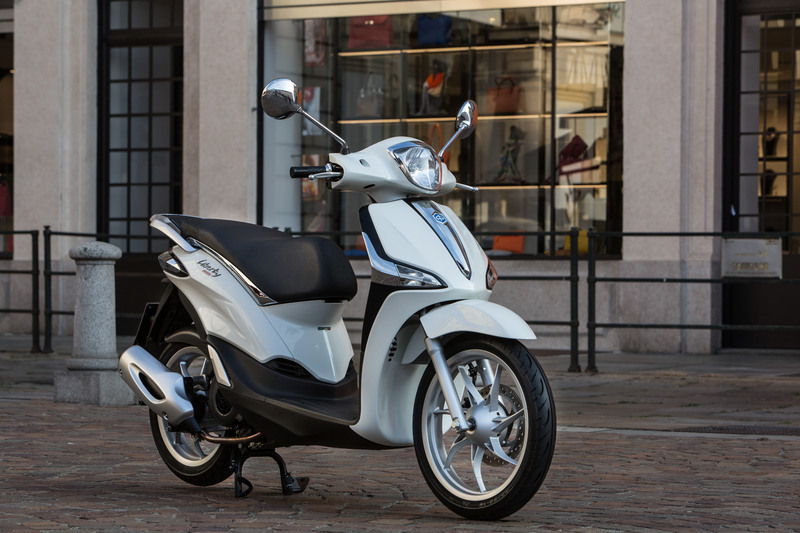 For the Liberty, three engine configurations – 50cc, 125cc and 150cc – will be available (at least in Europe; the U.S. will only get the 50cc and 150cc versions), all of which are four-stroke and electronically fuel-injected. 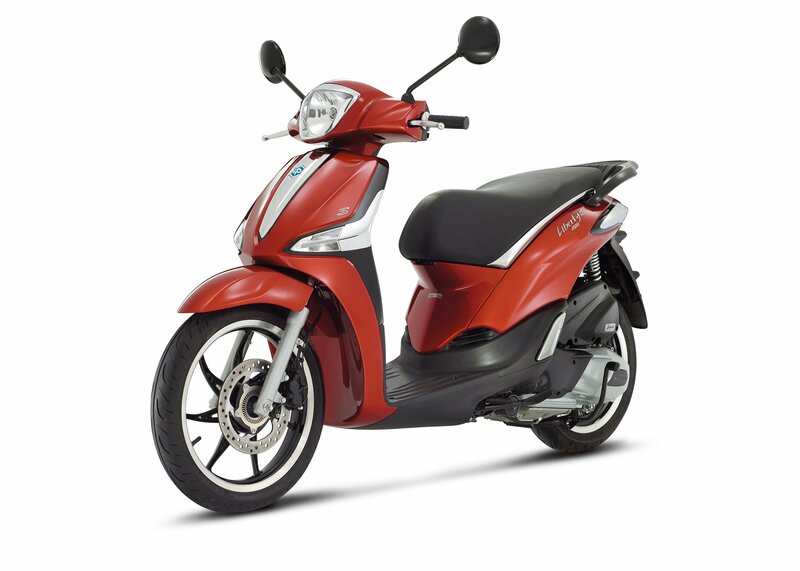 The 50cc version has been optimized for fuel economy, while a new eight-hole injector makes the 125cc version 10% more powerful than its predecessor and 16% more fuel efficient. 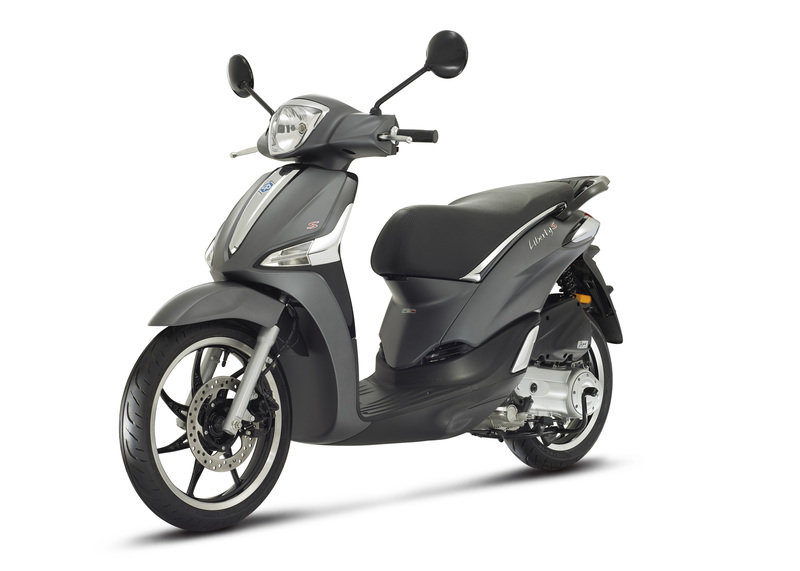 – the crankshaft, with 24% increased inertia compared with the previous engine for a decisive reduction in vibrations and a smoother ride. 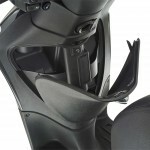 – the gearbox cover, to reduce the noise even more and increase stiffness. 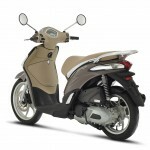 – the air filter with automotive style paper filter, which improves filtering action to reduce intake noise. 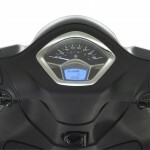 – the barometric sensor, so that combustion is always optimized. 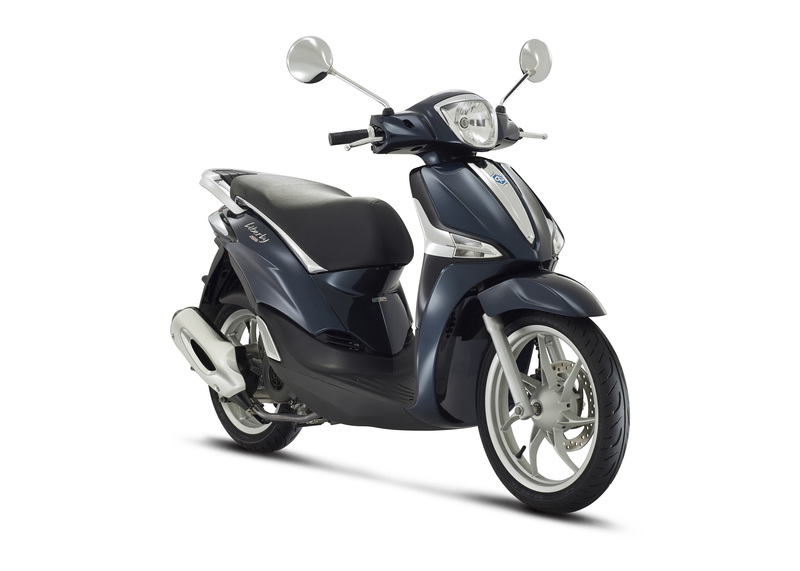 The clutch has also been revised to provide smoother on/off throttle, and the exhaust is also new and quieter. 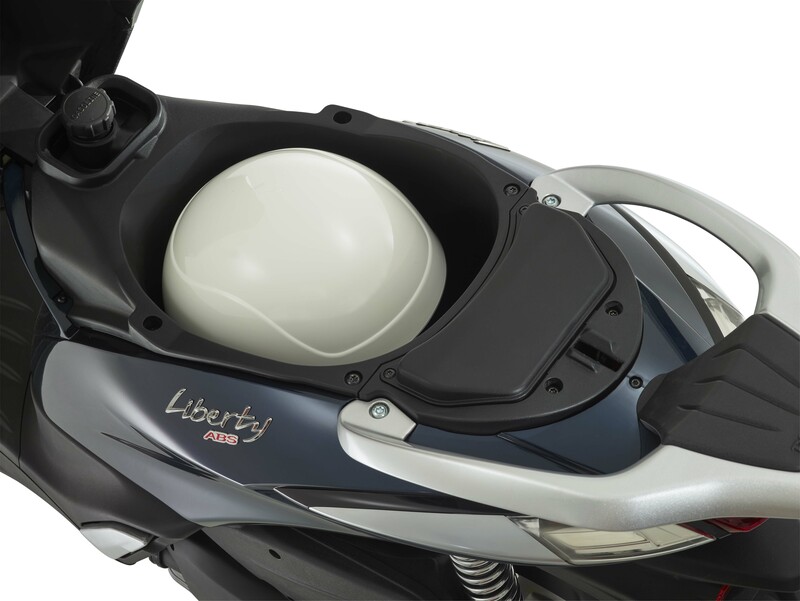 From there, the rest of the Liberty is all new as well. 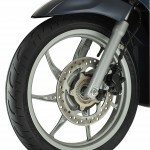 The frame has been made more rigid, the front fork geometry is revised, and the single shock has also been tweaked. 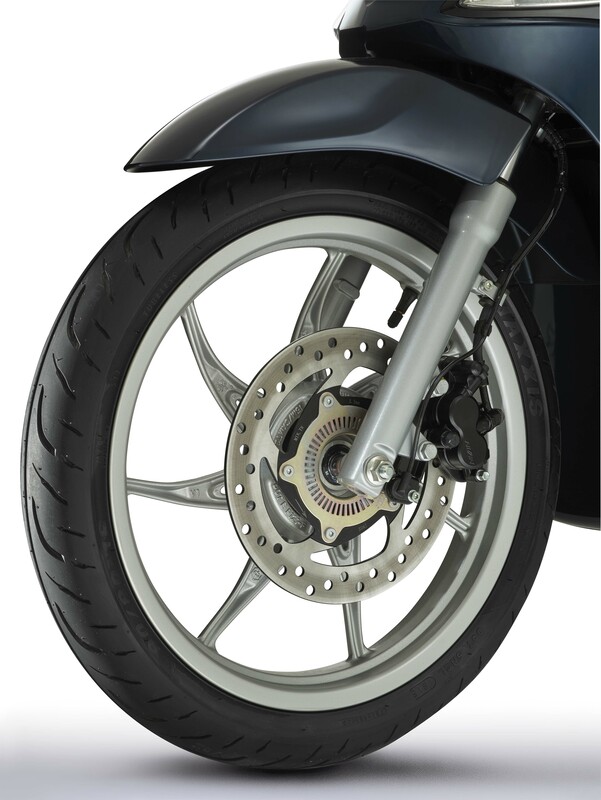 Front wheel size has been increased to 16-inch (from 15 inches), while the 14-inch rear helps to provide better stability at speed. 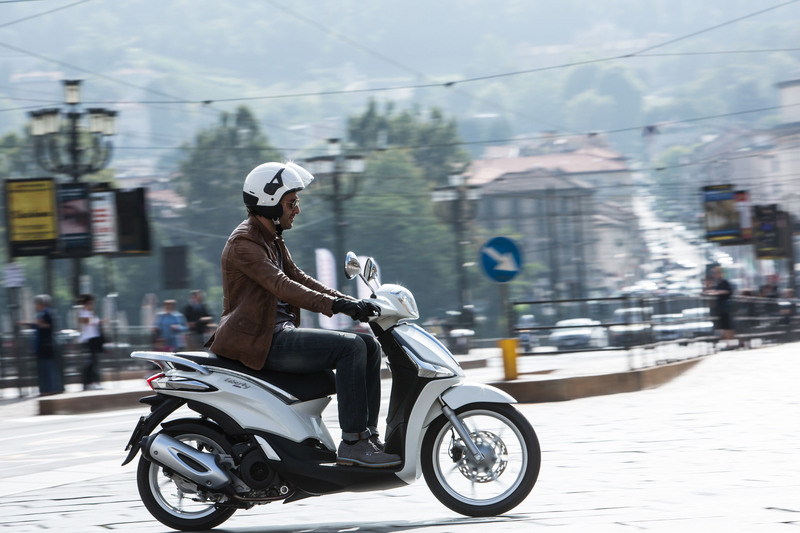 Further safety measures include ABS and LED front lights for increased visibility day or night. 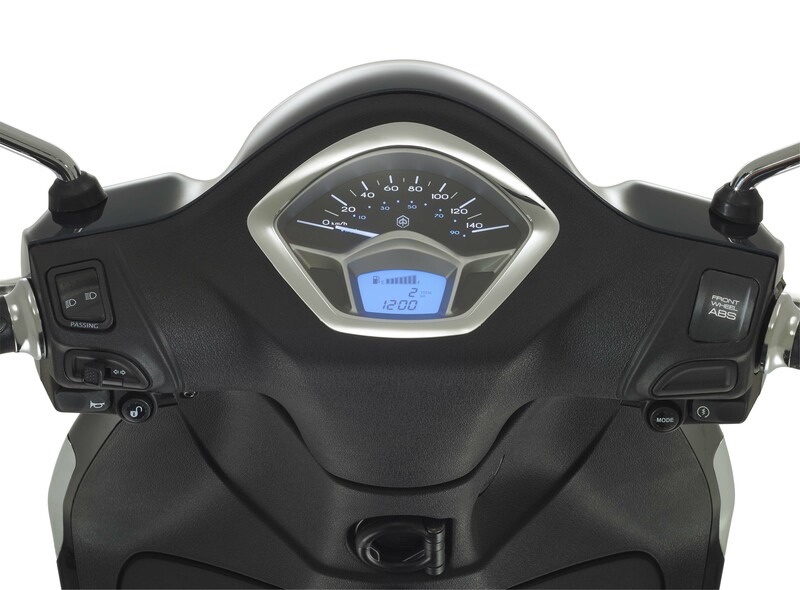 More new features include the handlebar, instruments, and leg shield. 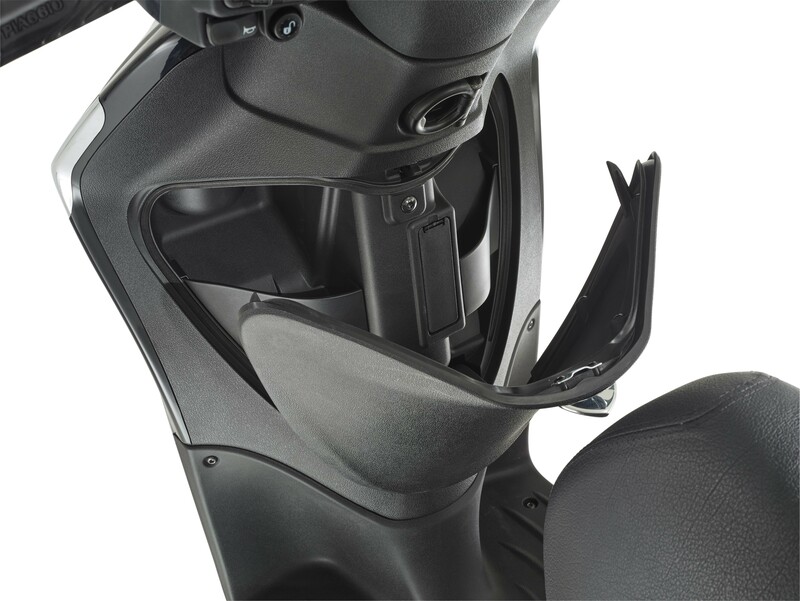 The latter helps to accommodate the new battery position, which results in almost four liters of glove box storage – nearly double that of the outgoing model. 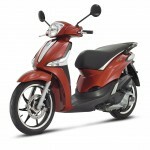 Storage space under the seat also goes up 30%, from 12.5 liters to 17 liters. 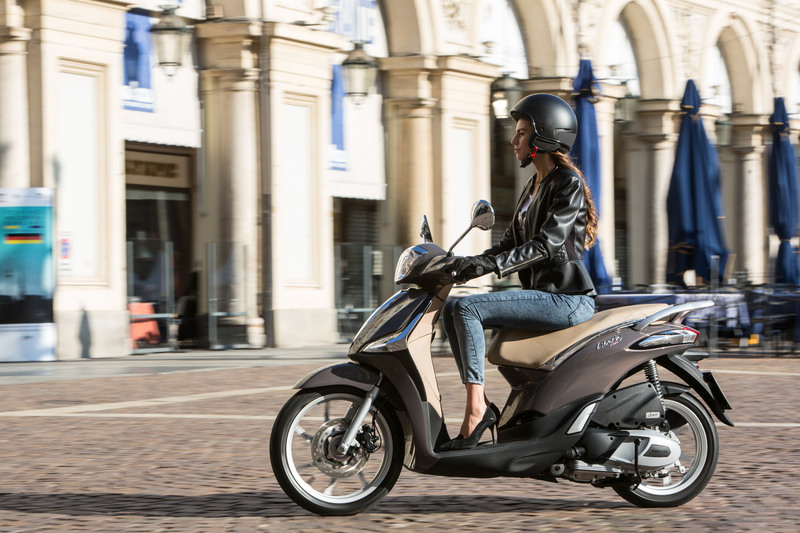 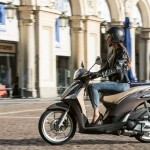 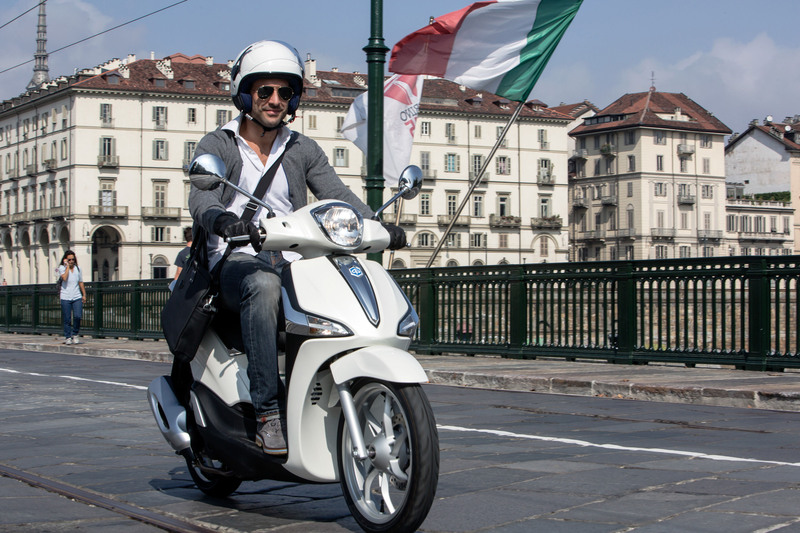 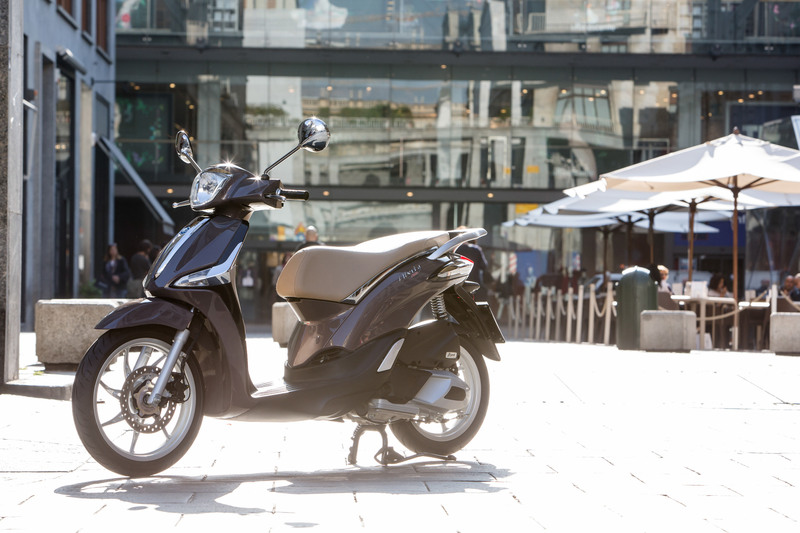 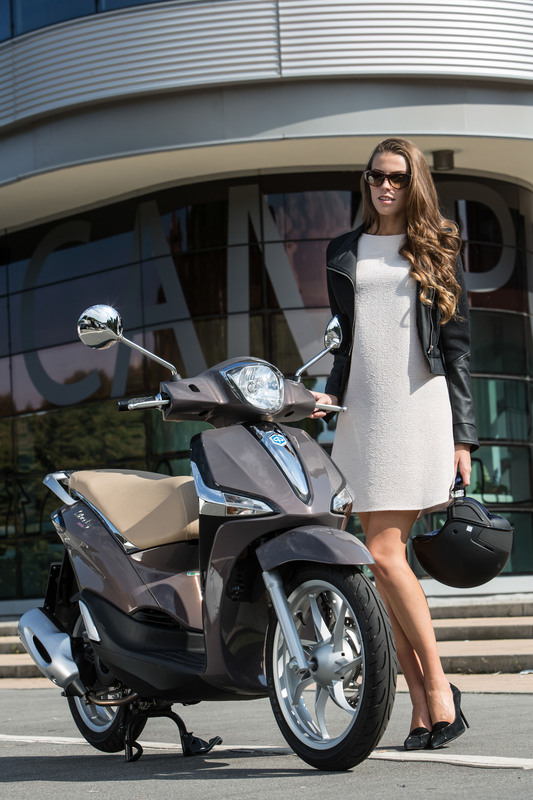 The new Piaggio Liberty comes in two configurations: the classic standard and the more sporty S.
The Standard version is an interpretation of the classic and elegant spirit that has characterized Liberty. 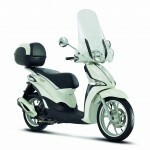 It comes in classic Bianco Perla and Blu Midnight, as well as the new Marrone Etna color scheme. 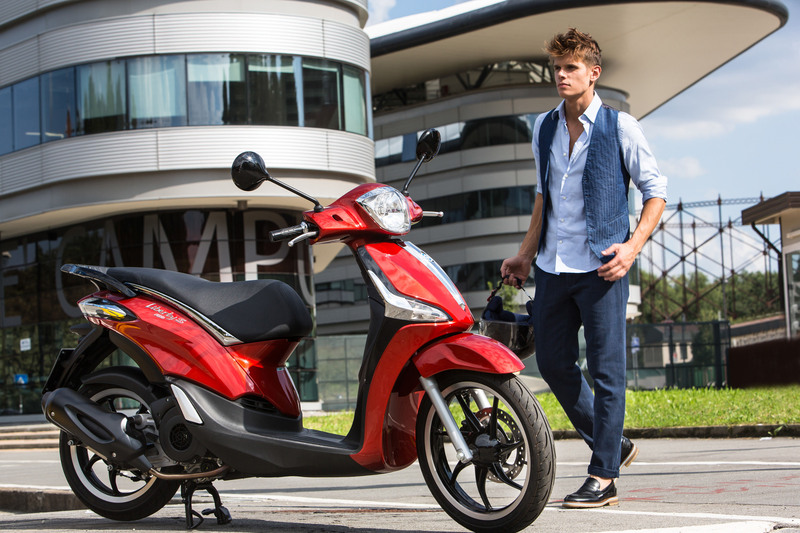 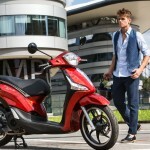 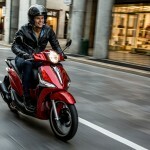 Piaggio Liberty S stands out for its bold color schemes (Rosso Ibis and Grigio Titanio Opaco). 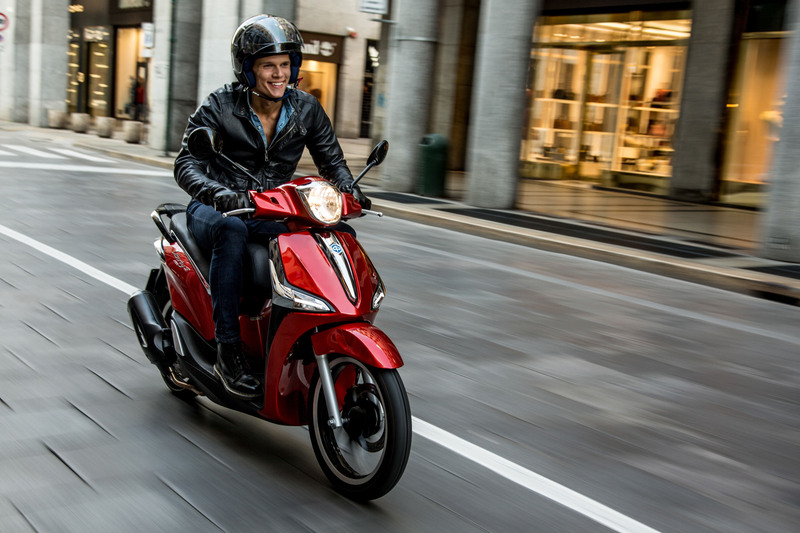 Because of its dedicated graphics and details such as black wheel rims with polished channel and the red stitching on the saddle, Piaggio views the S package as intended for younger and “more dynamic” riders. 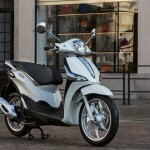 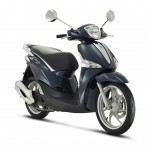 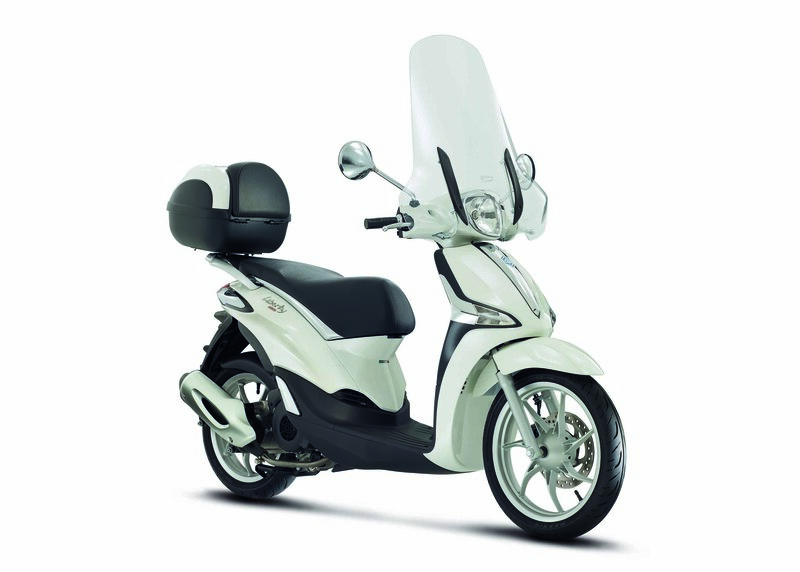 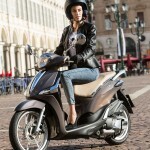 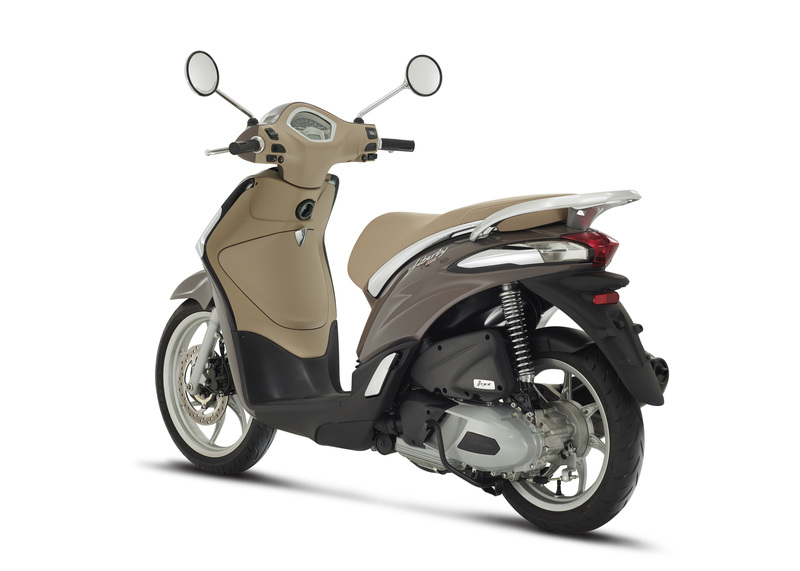 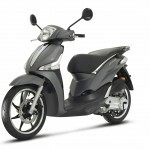 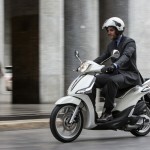 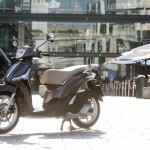 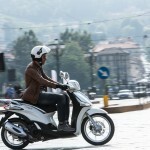 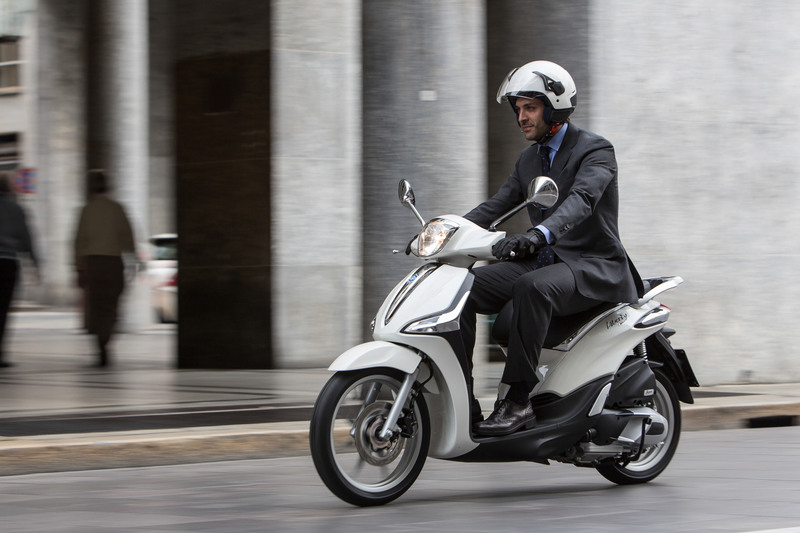 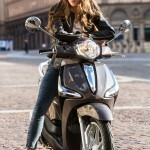 Get price quotes for Piaggio from local motorcycle dealers.